As opera festivals go, the PROTOTYPE Festival, with its goal of bringing cutting-edge opera to New York audiences, is more in tune than most with the current political climate. PROTOTYPE has earned a reputation for its diverse programming, for attempting to recast opera as a decidedly urgent artform, at pace with the most pressing issues of our zeitgeist. Indeed, the US premiere of Philip Venables’ 4.48 Psychosis, with its frank depiction of life with clinical depression, seems timely in an age where public awareness of mental health has never felt greater. Similarly, there was a sad irony in seeing Graham Reynolds’ bilingual Pancho Villa from a Safe Distance, a collaboration between artists from both Mexico and the US, during a government shutdown over a border wall. Both works are highly ambitious, yet while 4.48 Psychosis is an intricately-crafted, deeply moving portrait of human agony, Pancho Villa from a Safe Distance lacks the creative clout to realize its artistic ambitions. 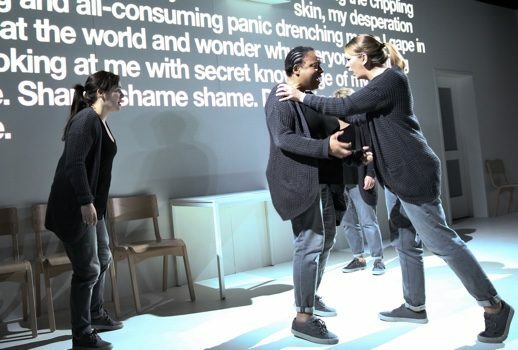 Sarah Kane’s play 4.48 Psychosis, written shortly before the playwright’s suicide in 1999, has already garnered considerable success on the theater stage. Even before Venables’ much-touted operatic adaptation, it has emerged as something of a modern classic for its acerbic insights into the depressed mind. Kane’s play has no clear narrative and specifies no characters or staging; it could be performed by many people or by a single narrator and could be set anywhere, at any time. Kane merely presents a series of unlinked episodes—some abstract and psychological, others depicting real events in the life of the patient. The play’s material is harrowing, the discussions of suicide attempts and self-harm made all the more confronting when read against the playwright’s own struggle with depression. Venables takes full advantage of the play’s meandering stream-of-consciousness in a searing, kaleidoscopic score which foregrounds the lyricism and brutality of Kane’s text. Venables’ score has an unremitting intensity, endowing Kane’s play with a visceral impact so often missing from theatrical productions of the work. Textual contrasts are pushed to extremes in a score that alternates between Artaudian delirium and baroque detachment. Venables sets the opera for six singers—three sopranos and three mezzo-sopranos—with Gweneth-Ann Rand taking the role of the patient, Gwen, and Lucy Schaufer, the role of her psychiatrist. The remaining singers move fluidly between roles, sometimes Gwen’s lovers or friends, at other times, voices in her head, singing in sinewy, overlapping counterpoint or emphatic chorale. Venables makes Herculean demands of his singers: not only must they navigate the knottier corners of his score; they must howl, shout, speak, gasp, groan and wail, in keeping with the ceaseless anguish of the libretto. Nor does Venables confine the text to the singers: key phrases are periodically intoned by taped voices over tinny loudspeakers, or, as with Gwen’s therapy sessions, projected onto Hannah Clark’s bare, clinical set as two percussionists (in full view, along with the rest of the orchestra, above the stage) coldly hammer out the rhythm of the words. All singers are amplified, the sound design emphasizing the percussive sibilance of their words; it is sometimes difficult to parse between the prerecorded voices and those onstage, creating a disquieting sense of sonic disorientation. These prerecorded sounds often seem to interrupt the music with jolts of earsplitting noise, a welcome shock to the system in an opera that can be numbing to watch. Venables captures the grim irony of Kane’s text, interpolating the high modernism of the score with jarring moments of pastiche. Waiting-room muzak hums beneath awkward silences, while a jaunty fairground waltz, played on a synthesizer, underpins an especially hallucinatory episode. A rare, optimistic passage is set to a swelling diatonicism, Gwen’s resolution to “to laugh and make jokes” and “to achieve goals and ambitions” mocked by a particularly kitsch string of glistening major chords. These flashes of musical parody, rather than offering a repose from the opera’s inexorable angst, provide some of the opera’s most unsettling moments: in a truly disturbing sequence, the various side effects of a “chemical lobotomy” of antidepressants are Mickey-Moused by the orchestra with a sneering battery of glissandi and percussive effects. In his program note, Venables praises the “fastidious formalism” of Kane’s play, and there are times in the opera where Venables seems to labor the architectonic elements of the text a little too much. Repeated motifs in Kane’s script sometimes feel a bit overcooked when paired with recurring musical patterns. This production, imported from the Royal Opera House, showcases some outstanding British talent, featuring a strong cast of emerging and more established singers. Rand delivers a powerhouse performance as Gwen. Equal parts helpless and defiant, Rand’s gut-wrenching portrayal of the struggle and agony of depression has a raw honesty at once captivating and painful to watch. While Rand has a warm, penetrating vocal timbre, she is not afraid to allow her voice to crack, rasp, and choke with emotion, giving her performance a welcome vulnerability. Schaufer, a long-time proponent of contemporary music, plays the psychiatrist with rich-voiced quiescence, a cool, velvety ploy to Rand’s fiery Gwen. Toward the end of the opera, her performance takes a suitably patronizing tone, Schaufer cooing at her patient in taunting, wordless melisma. Another standout is Samantha Price, who battles through a sweet-voiced, pseudo-Monteverdian lament against screeching, microtonal violins. Exceptional performances from the cast are complemented by Ted Huffman’s dynamic staging, which eschews literalism in favor of more abstract scenes of frenzy and paralysis. Ultimately, 4.48 Psychosis is a heart-stopping, utterly devastating night at the opera, not to be missed. 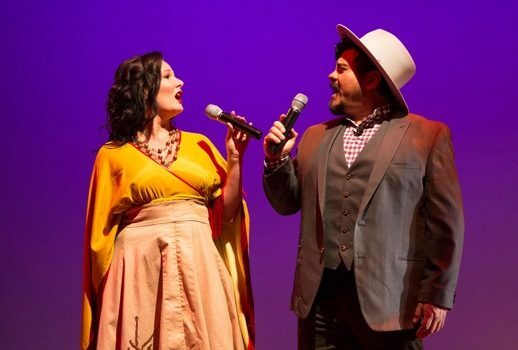 The concept of Pancho Villa from a Safe Distance holds so much promise: a bilingual opera by creatives on both sides of the Mexican border about an historical figure whose life was stranger than fiction. Yet Reynolds’ opera is a disappointing affair, a milquetoast portrait of the Mexican revolutionary general which never quite captures the complexity, or contentiousness of its subject. This was in spite of a piquant libretto from the Mexico City artist collective Lagartijas Tiradas Al Sol, which weaves together various mythical episodes from the life of Villa in a sweeping non-linear epic. The text blisters with danger, wit, and pathos evoking revolutionary battlefields, and political intrigue without shying away from the darker, more controversial aspects of Villa’s character. The opera’s faults mainly lie with Reynolds’ score, a humdrum collection of four-chord songs interspersed with a series of meandering, quasi-improvisatory instrumental interludes. The musical fabric of Pancho Villa from a Safe Distance did, indeed feel all too safe and all too distant from its dramatic material: Reynolds’ songs were jejune, repetitious, and followed predictable musical arcs, never quite living up to the caustic bite of the text. In fact, the text often felt as if it were tacked on to Reynolds’ music as an afterthought, the free-reigning prose libretto forced into repeated four-bar phrases, creating unnatural, often incomprehensible stress patterns. The instrumental interludes also did little to serve the text, frequently out-staying their welcome: they resembled film underscoring, with all the attendant clichés to boot. Despite the composer asserting (in a long pre-show soliloquy) that his score had cultural approval from his Mexican collaborators (who he rather tastelessly described as “appropriation police”) the score still felt like a rather whitewashed mélange of Latin musical tropes. It was a sanitized, ultimately facile musical portrayal of Villa, a gritty libretto delivered with all the dramatic force of an André Rieu concert. This was not helped by a reverb-laced sound design, which smothered the timbral nuances of the opera’s two singers in an artificial boom (a single unamplified aria is one of the opera’s few compelling moments). Mezzo-soprano Liz Cass has a vibrant voice with a gutsy chest voice and an elegant upper register, both of which were used all too rarely by Reynolds. Paul Sanchez’s turn as the legendary Villa brings many a metallic high note, with a voice that sits somewhere between rock star and heldentenor. While the singers themselves had plenty of vocal chutzpah, they were let down by Shawn Sides’ lackadaisical direction. Any high-impact singing was dampened by a staging that continually alienated the singers from their audience. For much of the opera, the singers were sat at desks on opposite sides of the stage, or tucked in the very back corners of the stage, behind the instrumentalists, their faces always partially obscured by hand-held microphones (perhaps this is the “safe distance” hinted at in the opera’s title?). Robert S. Fischer’s video design was a rather mixed bag: portable camcorders, operated by the singers themselves with images projected live, were never used for much more than filming objects on a table or the occasional singing closeup; and archival photographs of Villa’s life were periodically flashed, PowerPoint-style, across the screen. However, documentary footage of a Mexican teenager, Miguel Santiago Santos, whose historical interest in Villa leads him on a staggering cross-country odyssey, provides a poignant, rather moving counterpoint to the banality of Reynolds’ score. The six-piece band are a tight ensemble, with Alexis Buffum’s folk-infused violin and Utah Hamrick’s punchy tuba particular standouts. The Prototype Festival can be seen as a kind of litmus test for the state of contemporary opera, a showcase of the latest trends in the artform. In the case of Pancho Villa from a Safe Distance and 4.48 Psychosis, there is a tendency toward opera as multimedia spectacle, both works pushing the limits of what a modern Gesamtkunstwerk might be. Yet, while 4.48 Psychosis interweaves its various media in a formidable audio-visual web, Pancho Villa emerges as a hodgepodge of disparate elements, of varying artistic quality, which never quite gel. However, in a festival so renowned for its risky programming, it is inevitable that there will be the occasional misfire. Indeed, one of the great joys of the PROTOTYPE Festival is that you never quite know what you are going to get.